The worksheet has been designed having in mind young learners who have been taught the present continuous. 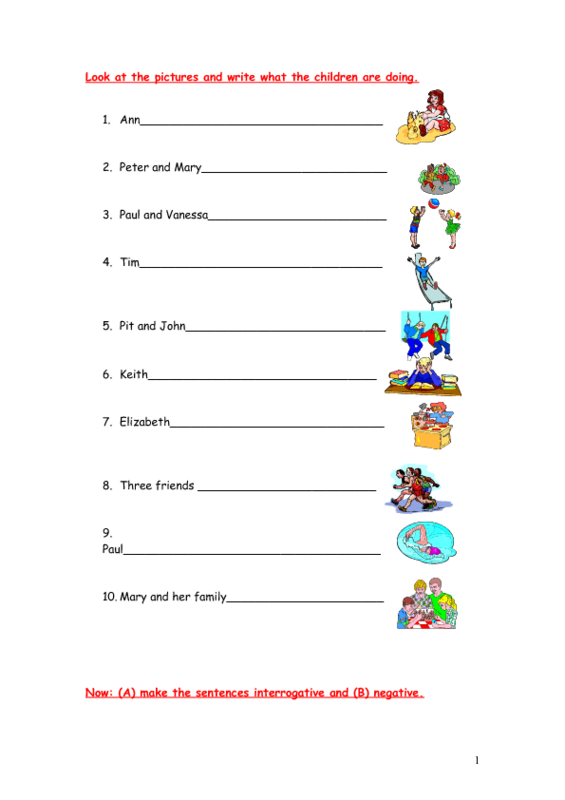 In the worksheet learners are asked to write sentences in the present continuous facilitated by illustrations. At the same time they will practice some vocabulary.